Arapaho Bend Natural Area is one of the best "parks" in Fort Collins, Colorado. 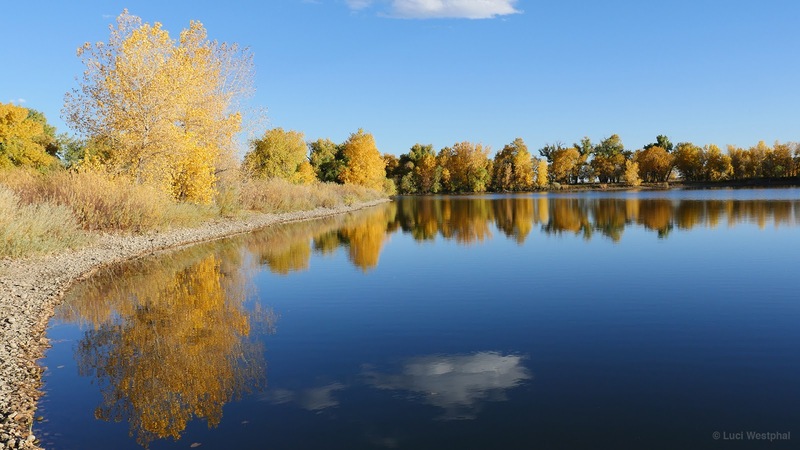 You get to enjoy ponds, the Poudre River, lots of trails, and views of birds, rabbits and the Rocky Mountains. It also features an old cabin and a river bridge. Who doesn't love old cabins and bridges? The Arapaho Bend Natural Area, on the south east side of town, is named after a bend in the Cache la Poudre River. But it's the other bodies of waters that are the bigger draw: 5 ponds and a reservoir. In this video, you can see Rigden Reservoir, Little Bass Pond, Big Bass Pond, Cormorant Pond, and Snapper Pond. I left out the large Beaver Pond, which you can see in my video "Fort Collins – In A Colorado Minute (Week 318)". A special feature of Arapaho Bend is what remains of the historic Strauss Cabin, one of the earliest log cabins in the area. While it was restored in 1997, some super lame person burned it down in 1999. Left behind are the stone walls and the charred logs. Do you think that idiot is proud of destroying such a historic place? Sometimes, I just don't get people. You can access Arapaho Bend and its ponds from Harmony and Ziegler. There are three parking lots along its west side. Unfortunately, this area is still not connected to the Poudre Trail. So getting there by bike still means some riding along city streets. But apparently there's a plan to connect it to the trail coming down from Prospect Ponds Natural Area. If you'd like to see what the Arapaho Bend Natural Area looks like in the snow, check out my video "Cross Country Skiing in Fort Collins – In A Colorado Minute (Week 301)"
I’ll be posting photos of Arapaho Bend throughout this week to the In A Colorado Minute 2016 Flickr album, on Google+ and Facebook and there will be a dedicated post on my blog.